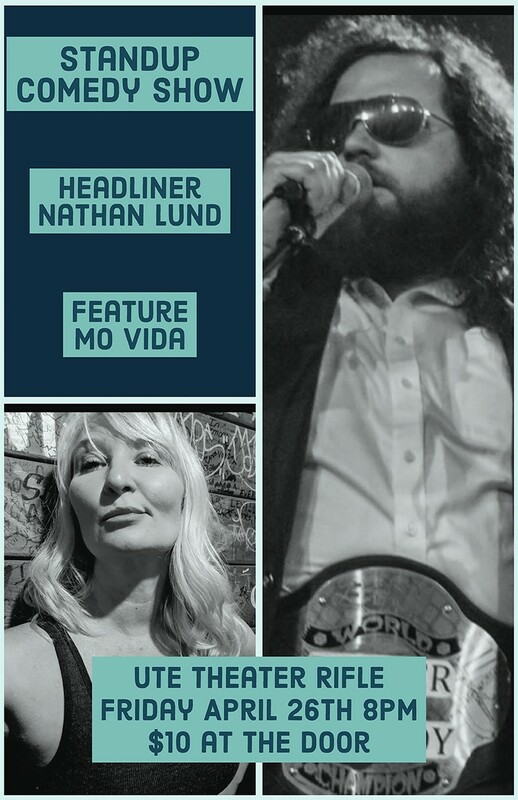 Headliner, Nathan Lund has traveled the country and is a favorite at Denver’s Comedy Works. He was featured on the TV show “Flophouse” on the Viceland network as well as the BBC2 show “Horizon”. Nathan was a part of Funny or Die’s Oddball Comedy Fest, Crom Comedy Festival, Savage Henry Fest, Orlando Indie Comedy Festival, and the High Plains Comedy Festival. He is the host of the podcast One on Lund and is the reigning Denver Comedy Champion. Feature act, Mo Vida starts the show at 8 pm.